There's nothing quite like a cinnamon roll, hot out of the oven, dripping with frosting and studded with chopped nuts - okay, maybe not the most nutritious breakfast, but damn are they delicious! Since going gluten free, those soft, supple, airy breads have become quite elusive. 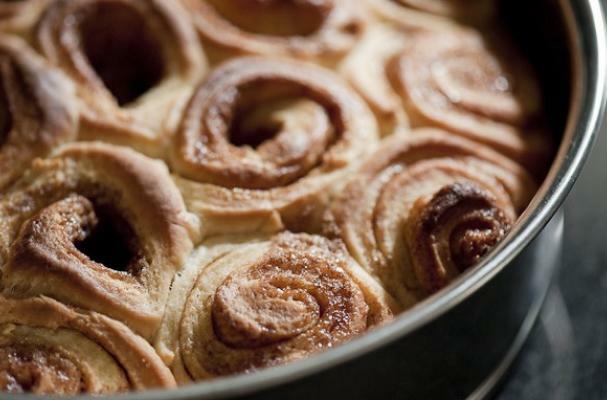 Here are five tried-and-true cinnamon roll recipes, guaranteed to satisfy your sweet tooth! Straight from The Gluten Free Girl, these sweet indulgent treats are the product of trial and error - to amazing (and delicious!) success. If these are even half as good as they look, this may be ooey-gooey cinnamon-induced nirvana! Personally, I've had pretty good luck with this recipe in the past, but even better? There's a vegan version, too! Who knows if they're the best, but with a super easy flour blend, why not give them a whirl? These are the fluffiest gluten free buns seen in years - as Ellen says, "All bets are off. Fuggetabout the calories." Not in the mood for baking? Chebe has a gluten free cinnamon roll-up mix that comes together in minutes and is mighty tasty - but bear in mind, these aren't those ooey-gooey frosting-drenched buns you may be imagining.